ATEN´s SOHO and SMB solutions offer a series of cable KVM, desktop KVM, and LCD KVM products. The Enterprise solutions offer a series of Over IP solutions that allow customers to effectively manage IT infrastructure from anywhere in the world. The Professional Audio / Video line offers integrated video solutions for home and professional use for a variety of uses including corporate, education, hospitality, commercial and home theater applications. The recently developed Green Energy line offers energy-saving solutions for the data center with a range of intelligent PDUs that provide real-time energy management and performance indicators locally and remotely. 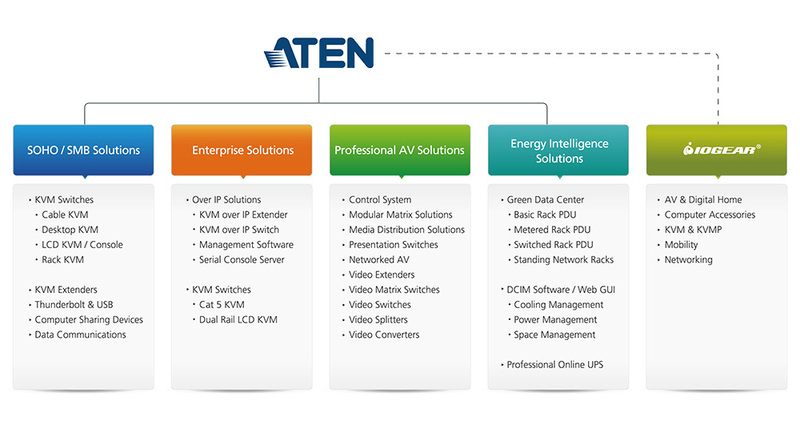 ATEN specializes in connectivity and management solutions. We distribute our products through a global sales network to meet a broad range of customer needs. ATEN delivers and we care about our customers. We are committed to the best customer support in the industry. 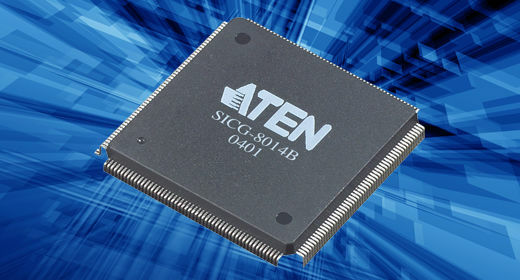 By designing our own Application Specific Integrated Chip (ASIC), ATEN is able to deliver its unique KVM switch features at competitive-cost to the consumer while maintaining our high mark of quality. 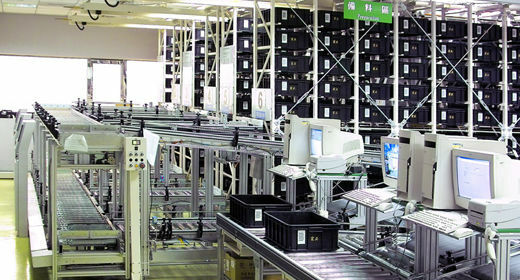 ATEN's state of the art warehouse is equipped with automated storage for computerized retrieval of over 2500 component boxes. Each product work order receives precision handling from its inception to its completion, nearly eliminating manufacturing defects. 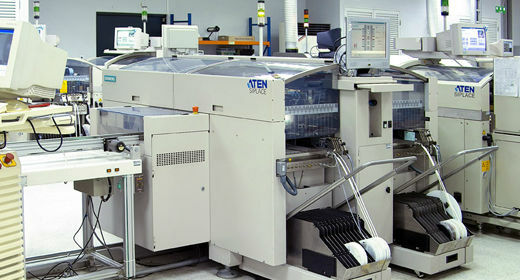 The newest addition to ATEN's Surface Mount Technology (SMT) equipment, this Siemens HS-50 mounter, has further increased factory output while minimizing downtime. Each of ATEN's seven SMT lines is maintained by a staff of trained technicians for additional quality control and operational maintenance. ATEN's on the fly multi-angle read Automated Optical Inspection (AOI) system represents the first wave of quality control for PCB surface, solder joint and component defects. 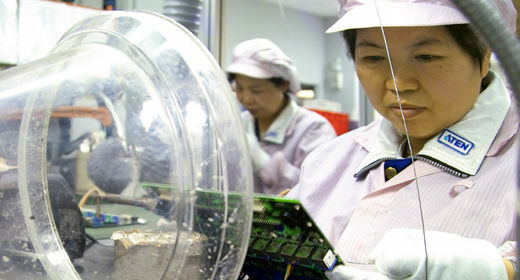 ATEN technicians monitor each stage of PCB production guaranteeing smooth operation and the highest quality finished product. ATEN employees represent our most valuable resource. We believe the highest quality products can only come from the happiest employees. ATEN profit sharing, manageable work hours, and an ergonomic and clean work environment have all contributed to retaining the loyalty we expect and receive from our staff. 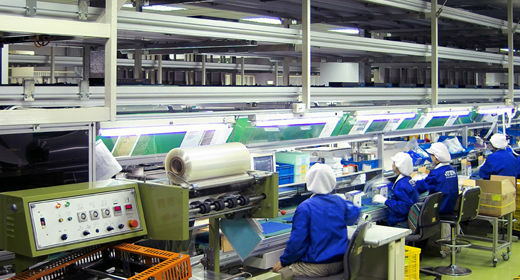 ATEN's 3 tiered assembly line is designed for efficient production over the expanse of 3 floors within our factory. 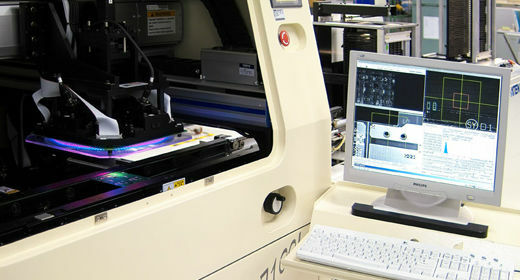 This unique design streamlines assembly and inspection and allows for a cleaner and more organized factory environment. Each ATEN product begins its life in a storage bin of components, passing through each floor of the factory and each rigorous inspection before it is packaged, tested and sent out for distribution.